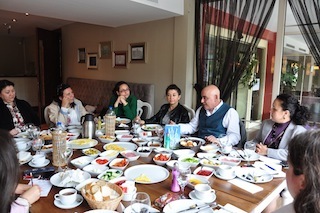 Recently I was invited as a speaker to a breakfast meeting in Istanbul, which was organized by kadinlararasi. com, a web platform for women in business. 12 businesswomen and I spent that morning talking about the companies they own. Let me give the answer without beating around the bush: a company is formed to be sold. The shares of a company and thus the company itself should be regarded as a product. Whatever we can do with a product can also be applied to company shares. For example, just as it is necessary to market a product, it is also necessary to market the sale of company shares. The only exception would be if you are creating this product for yourself alone, for your personal satisfaction. Such an approach is unthinkable when it comes to commercial products or services, and may only be applicable for some works of art, which usually are also sold when their creators die. If you view your company as a work of art which you do not want to share with others, then that is entirely up to you. But your company is still a product, however hard it may be to accept emotionally. And a product is made to be sold. To visit kadinlararasi. com you can click here.